5pcs VapeOnly Luft B Replacement Coil for Aura, applies the innovative top airflow dual coil design, which will bring you the best vaping experience ever! 0.33ohm and 0.5ohm coil values available. 5pcs VapeOnly Luft B Replacement Coil for Aura, applies the innovative top airflow dual coil design, which will bring you the best vaping experience ever! 2 resistances are available, 0.33ohm and 0.5ohm. • Please soak the new coil for no less than 1 minutes before vaping. • There is CE and RoHS mark on the box. 5pcs VapeOnly Luft B Coil for Aura Kit with 5 pieces per pack applies the innovative top airflow dual coil design, which will bring you the best vaping experience. 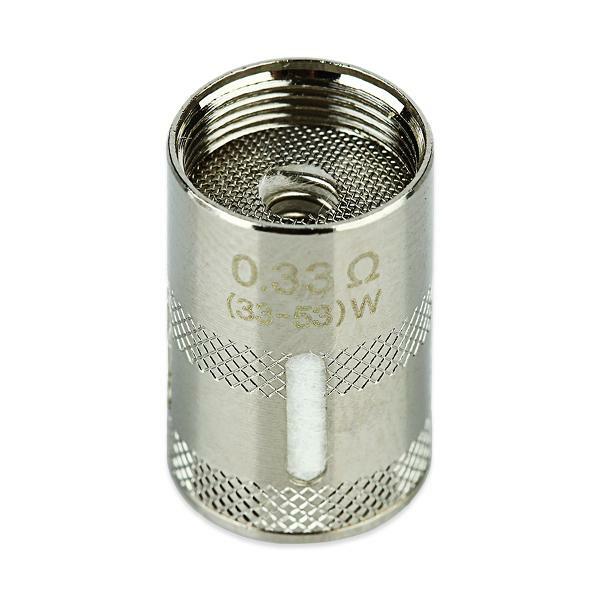 2 different resistances are available, 0.33ohm.